A slow realization about just how limited my time really is, compounded by frustratingly unhelpful research on Web site development tips and tricks, has led me to concede that I wasn't going to be able to complete a new Web site before "Up in Alaska" got really stale. So I settled on a blogger template makeover with the name I wanted to give my new site - "Jill Outside." In thinking about giving "Up in Alaska" a new name, I decided I definitely didn't want to tie my blog to a region. That mercifully cut out the obvious but rather lame "Down in Montana" (which doesn't make much sense, anyway, since most Americans still think of Montana as "up.") But in the end, I did tie my blog to a region - a rather large and ambiguous region - "Outside." In Alaska, the term "Outside" is used for anything and everything that is not from Alaska. Therefore, if you don't live in Alaska, you live "Outside." I like the implication of a displaced Alaskan, exploring the wider world. And, of course, there's the less esoteric meaning, and the overall theme and scope of my blog - being outside, as in the Great Outdoors, playing, thinking, working, suffering, hoping, dreaming - living. So there you have it - this blog's new name. For now, it will stay at this arcticglass blogspot url. I still have a lot of work to do on the sidebar, but once I am done, it will be even more vast and hopefully just a tad more user-friendly. I could go through and delete links, but I like to have them all at my own fingertips. I believe that's the point of keeping a Web log. 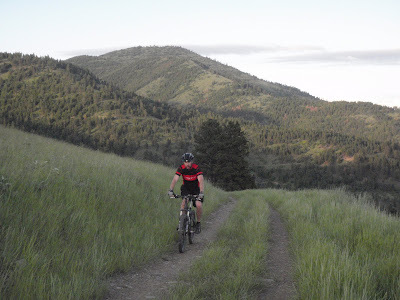 So besides redesigning my Web site, and of course working five days a week now, I have been mountain biking. Yeah, that's pretty much all I do now - mountain biking with new groups and learning new trails and making pasta and going out for pizza and burritos with other mountain bikers. 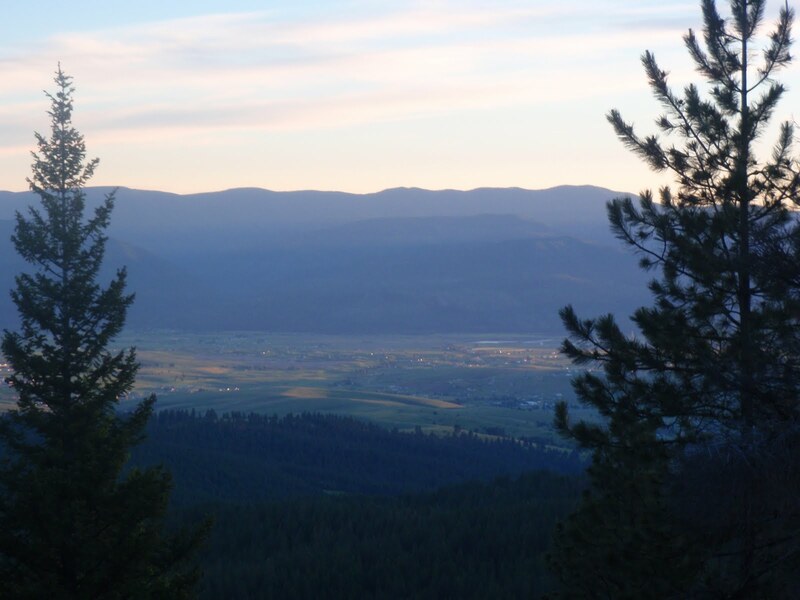 Right now, I am riding a mountain-bike stoke as wide as the Montana sky, which has been incredible for my state of mind during what would typically be a jarring transition to a new place. It is also probably the reason why my legs feel like shredded wheat right now; but that is probably good training for Trans Rockies. The following are pictures from my Wednesday and Thursday rides. One of the most awesome things about working for a company like Adventure Cycling is that literally everyone I work with is passionate about cycling. It's really quite incredible; I go to work in the morning and there are three cars in the parking lot and a couple dozen bicycles propped around the courtyard. I admit I can be lazy about the process of bike commuting sometimes, but my work environment makes it almost intolerable to drive to work. As it is, I haven't even touched my car in an entire week. But beyond being just transportation cyclists, my co-workers also genuinely like to ride bikes - some quite a lot. On Wednesday, my co-worker John offered to take me on a "tour" of one of his favorite routes. It turned out to be the tour of bears. 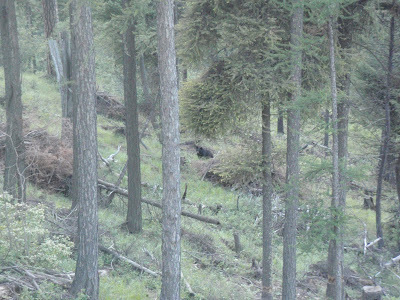 While riding up the singletrack of the first pass (oh yes, we climbed two passes), we saw a rather large black bear pop its head out of the brush. 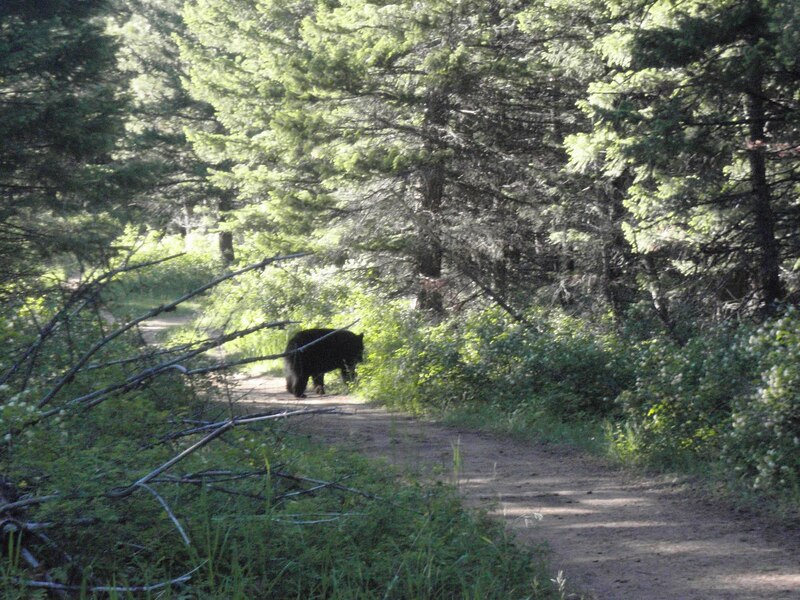 It lowered itself and stood back up a couple more times, then crossed the trail and circled all the way around us before sauntering out of sight. 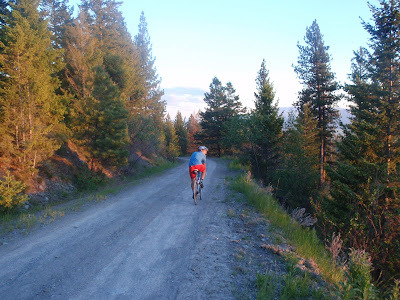 We crested the pass and descended down a long, flowing strip of singletrack before climbing back up a gravel road toward a ski resort, where we saw a smallish bear cub down a steep embankment. We stopped and held our breaths, and watched him dig around in the woods for several minutes, but we never saw mom. You probably can't see the cub in this picture; I'd crop it if I had a photo editor, which I don't right now, but the cub is that black thing in the center. We crested our second pass right at sunset, to a view of the valley bathed in warm light. I'm 10 for 10 now on spectacular sunsets during evening mountain bike rides. It's enough to give a person a downright unhealthy addiction. And addicting it is! I only got about four hours of sleep last night, then felt like soggy shredded wheat all day long, but still decided to rally for the Thursday night group ride another friend had told me about. This one was the co-ed crowd full of local racers, so I expected a fast-paced ride, but luckily a lot of the guys were fresh off a 24-hour race last weekend, so the ride was relatively lax. That didn't stop us from riding 25 miles and climbing more than 3,000 feet in the process. It also didn't save us from the brutal hike-a-bike to connect one logging road to another a couple hundred feet higher. Missoula mountain bike culture really is impressive. My group had nearly a dozen people show up for the ride. Then just as we were coming down the pass, we encountered another large group going up to another nearby high point. 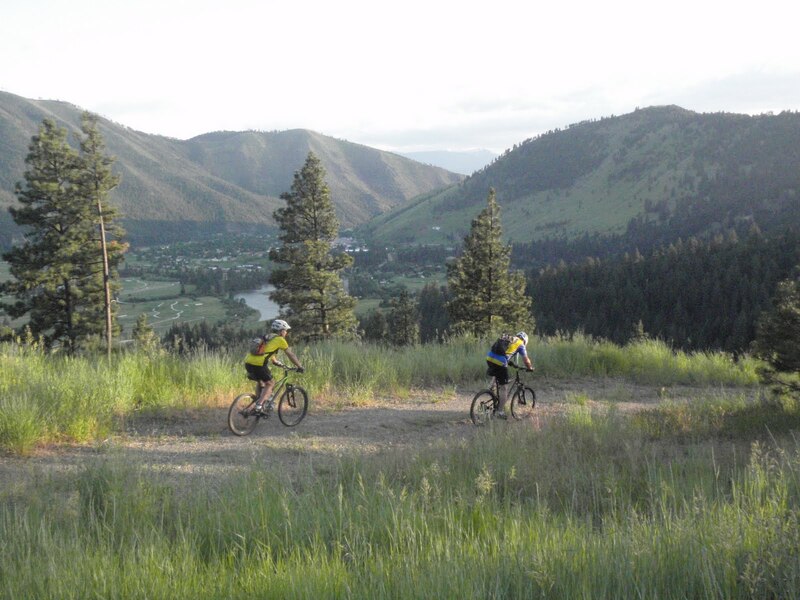 Suddenly, there were nearly two dozen mountain bikers gathered on a fairly remote logging road somewhere high above Missoula, on a Thursday night no less. 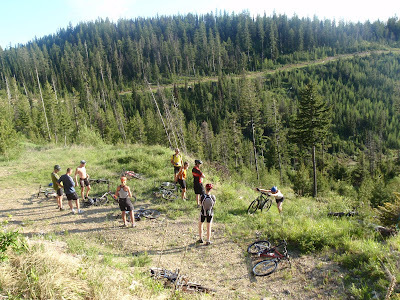 When I lived in Juneau, I don't think I ever encountered two dozen different mountain bikers over the course of a year. Suddenly being surrounded by so many of my own kind has been nothing short of a culture shock. Another pretty sunset, another impressive view. I wonder if this ever gets boring? Somehow, I doubt it. So....are you glad you moved? Great new blog, territory, job, friends. Hope you don't get overwhelmed by all the newness. So glad to see you having so much fun....and with other people. 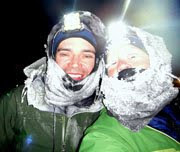 I've enjoyed your blog for several years, and as someone old enough to be your father (and then some), I always worried about the amount of time you spent alone on your Alaska adventures. I think Missoula is going to be very good for you. Your pics make me just a wee-bit homesick...haven't been back to MT in a while now. And I agree w/ Joe...soon you will also have to change your 'about me' description ("I'm not fast"). 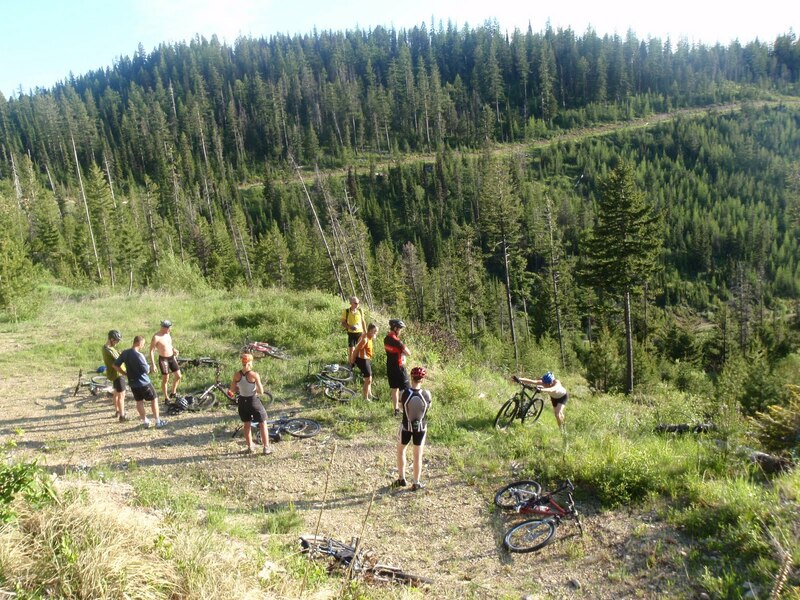 You keep doing these group rides, and a year from now things will be a totally different rider. You will go from 'all day long, slogging along' to 'all day long, zipping along'. 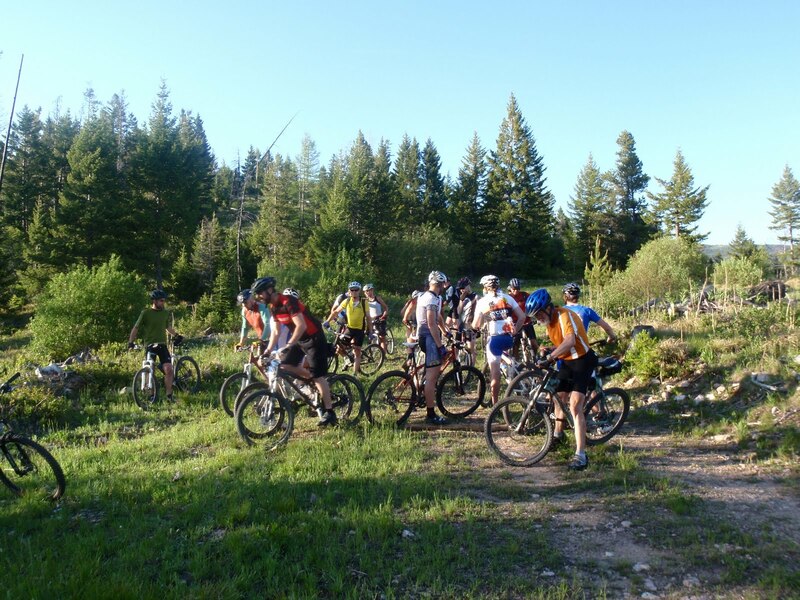 I'm predicting you doing a solo 24hr mtb race in the next 2 years. LOVE the makeover! The title (and banner) are PERFECT! Jill, I love the new blog name...and the tag line! I know your heart is in Alaska, but Missoula is really sounding like a home...already. It was good to finally see you in person. I really do admire your adventure spirit and hope that we have a lot of great adventures while you are in Zootown (Missoula nick name). On a side note the group will really get a chuckle out of the "local racers" comment. Actually the group we me coming up MIT Tower were the local racers (mostly road). 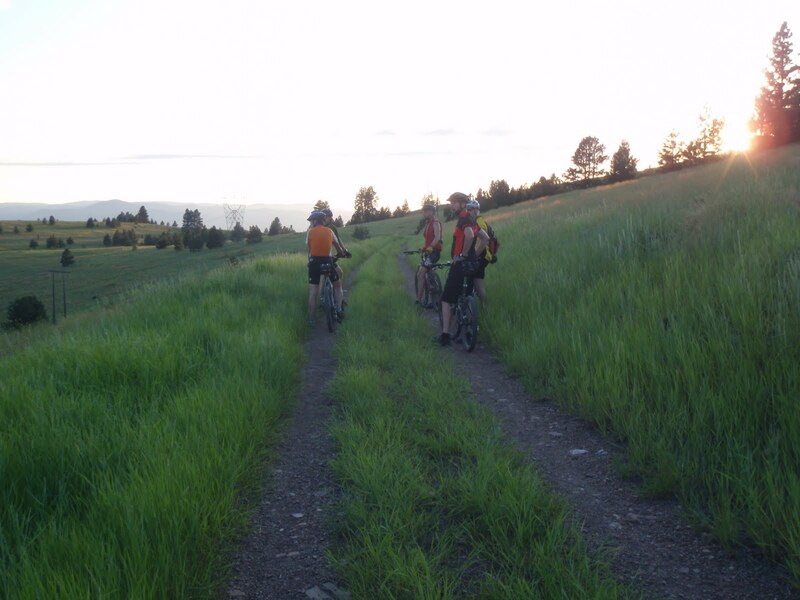 This is what makes Missoula so great, not may racers but passionate about mountain biking. Before I started riding with TNR they would of never imagined competing. In fact I had to show them how to bunny hop a log. Now 4 years later I have infected some of them to do endurance racing and I am so excited to see the sparkle in their eyes when I mention a race like Butte 100 and 24 Hours of Rapelje. I have a question for you. You said Adventure Cycling was a wee bit concerned that they mostly focus on road and you mostly focus on off-road. I am applying for a job with IMBA and have a similar, but opposite problem. They are obviously a MTB organization and I am primarily a road/CX rider. I love riding off road, there's just little to no opportunity in suburban south Texas so I have very limited experience. I was wondering if you had any advice for helping me get over that hurdle in the cover letter and, should I be so lucky, in an interview. Also, any general suggestions for cover letters and interviews with the bike industry would be hugely appreciated, if you have time. YIKES!!! That bear would have scared me off! See, I told you this would be a great job for you! You sound so happy and that makes me so happy. I wonder if they have this much fun in Haiti? I hear the earthquake opened up (literally) some great new riding. I also hear that Tajakistan is cool too. 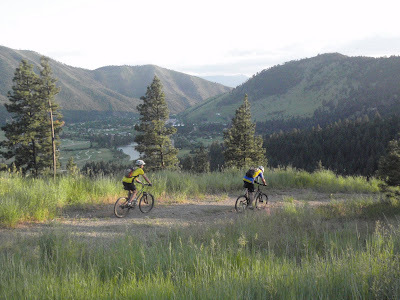 I've got to say between the strong mtb culture and all the scenic riding terrain you've covered in a few short days you're giving me a much greater appreciation for the Missoula area than I had before. Thanks for opening my eyes and keep up the good work (or more accurately fun)! Love the new blog name, it's perfect! I used to read your blog, then i lost the address, couldn't remember it and now I just googled "alska+bike" and here you are! Thank you Lord. :-) I loooove your bike trips and your photos. 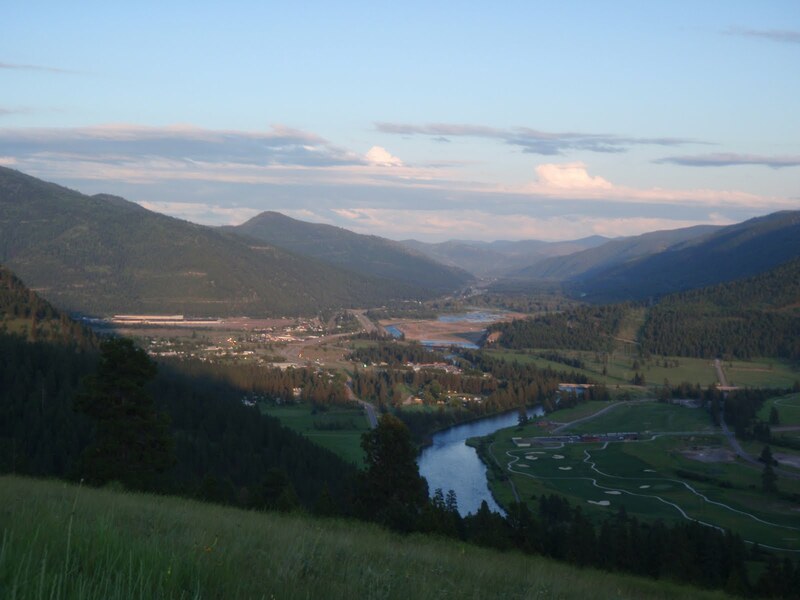 Wow, Missoula looks so nice! Juneau has been grey and rainy this week (surprise), looking at your pictures really make me jealous! If you have MS Office installed, its MS Office Picture Manager has a decent cropping tool under "edit pictures." You can right-click the picture file and use Open With and the manager should be listed. since you are using blogger, part of the google family, you should get hooked up with Picasa. blogger already stores all of you photos there. if you link your google account and download the software you'll find all the editing, as well as all of your past post photos, at your fingertips! Love the new look and name. BTW< saw the announcement for your new job in BRAIN today! Liked the Alaska living WAY better, MT is like the suburbs of LA's way to rich and way too dumb to get a job, good luck! A new a stages in a long ride!! I love the new look, and of course, I love Montana. The only problem seems to be that your new blog seems to be a bit slower (to scroll down the blog is very slow). Any solutions for this, or is it my computer? I bet that black bear seemed "tamer" after the AK concerns about brown ones....it would to me! Have fun this summer, Jill! Love, love, love the new name and so glad you are going to continue blogging! Some friends and I once drove 3 hours to Zootown from Bozone in a blizzard to watch Bootsy Collins play in a high school gym. maybe it was an armory? My opinion is the old arcticglass URL is neat, can as of now be felt to be a tough, enduring – say legendary - URL. The name change, while it might have felt like a compromise expedient a few days ago, is actually a perfect solution, in my view. Love the new blog title! I got it, yes indeedy. WOW. Great blog, great photos, great writing. I love reading your entries and you have now moved to one of the places I most want to be in the world. I'll be living that dream through your writing until I can get there. Thanks so much for sharing! All pretty incredible I'd say. Looks like quite a trip--and with bears included; wow!